Submissions are invited from writers in Africa for the 2018 African Writers Award. 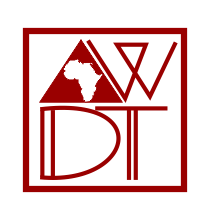 The African Writers Development Trust (AWDT) annually organizes African Writers Award as part of the African Writers Conference (AWC). The conference annually brings writers of African descent together to network, create opportunities and sustain a conversation that would press forward the shared interests of African writers. The theme of this year’s conference, slated to hold in Abuja later this year, is “Re-imagining African Literature: New Voices, New Narratives in the Fight for the Girl Child”. Therefore, writers can send in their flash fiction, short stories, children stories, or poems. Maximum of three hundred (300) words for flash fiction. Maximum of one thousand, five hundred (1,500) words for children’s stories. Illustrations could be sent too, but allowed. Two thousand, five hundred (2,500) words to five thousand (5,000) words for short stories. Poems should be maximum of thirty (30) lines. Entries ought not have been published anywhere. All entries must be themed-based. Entrants are allowed to make only one entry (one entry per writer). Submission must include a bio and picture, including links to social media pages, websites, etc. Entrants should upload their works on the page of African Writers Conference. Click here. Four African writers would be expected to grab the cash prizes, which would be presented at the 2018 African Writers Conference dinner and awards night on December 1, 2018. Nyashadzashe Chikumbu, Edith Knight Magak, Kolabomi Adeko, Nahida Esmail, and Anthony Onugba shall judge this year’s submissions. The deadline for entry submission is October 13, 2018.